Kumaon in Uttarakhand is one of the most lovely places I travel mostly in winters. However, nothing takes away anything from its charm in spring, summers OR in rainy season too with clouds floating in the valley and dense green colors spread across in miles. Hence, I thought why not after almost five years of writing about Kashmir, Ladakh, Lahaul & Spiti and Himachal, I shall shift the focus towards Uttarakhand on DoW Travel platform. Planning a trip to Kumaon? I have traveled the majority of the entire circuit of Kumaon in Uttarakhand which is quite popular, thanks to my year-end travel trip to this amazingly beautiful place. 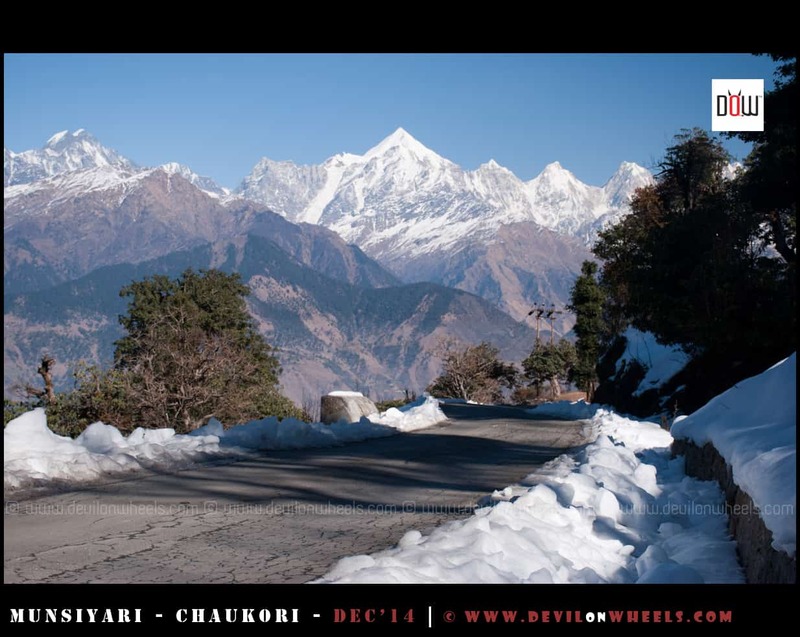 You can read about recent rendezvous with Kumaon at: Munsiyari – Dharchula – Chaukori – Itinerary, Road Conditions & Updates. As far as Kumaon is placed in Uttarakhand, north of Kumaon it is all Tibet and then on east it is Nepal, Uttar Pradesh lies towards south side of Kumaon and finally, Gharwal lies on the west side of Kumaon which is the other half region of mountain state Uttarakhand. October to March is the time when the 300 km-wide panoramic view of Himalayan peaks like Trisul, Nanda Devi and Panchchuli are clearly visible (apart from cloudy days) from higher villages of Kumaon region, mostly beyond Almora. So, you should not go wrong with this time of the year. Summers comes with forest fire and many a times views to this Himalayan range gets blocked during that period. So, winters to spring is good bet to go for clear views with blue skies. Here is the most common itinerary that I mostly suggest to readers of DoW Travel Blog covering majority of preferred locations in Kumaon region of Uttarakhand. Start from Delhi early morning and reach either Nainital or stay at wilderness of Pangot, just ahead of it. 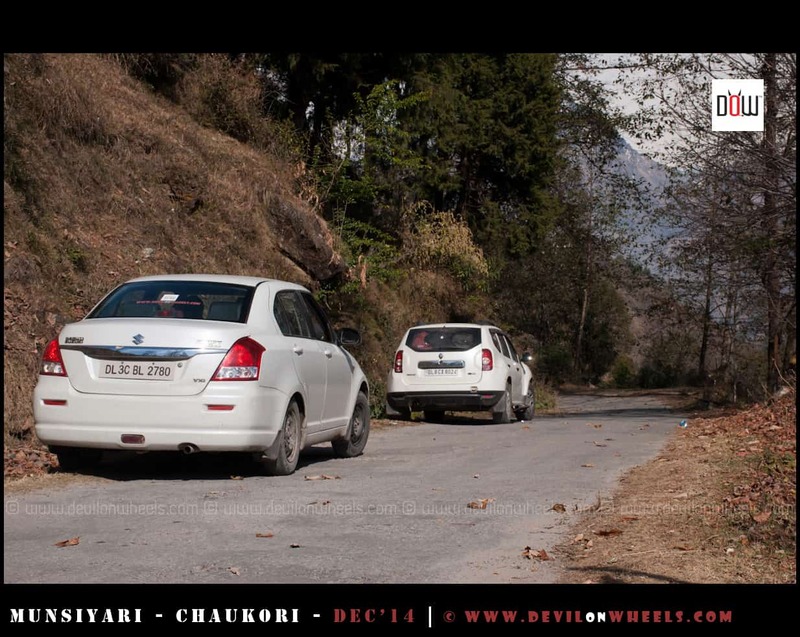 Start from Nainital and enjoy the drive to Binsar, an hour or so ahead of Almora. Before Almora, at Kakrighat, you can go inside village and enjoy by the river side on the opposite bank from road. Start a bit early from Binsar as it will take about 6-7 Hrs to reach Munsiyari midst the amazingly beautiful drive through the dense forest range. You will love every bit of it if you start early. Enjoy lunch at Thal and DO NOT forget to top up fuel at Thal. The restaurant just aside petrol pump by the name JJ Hotel and Restaurant is quite nice. Read our detailed travel guide of Munsiyari. Darkot is a heritage village 8 KMs ahead of Munsiyari. You can get yourself the Pasham (Mountain Rabbit) wool Shawls, Cardigans, Caps, crafted by hand as a heritage run by an old lady Prema ji who is the mother of a well known guide of this region named Raju guide. You can reach him at 08958687822. These are in the purest form of that woolen and crafted by hands only, so a bit costly but very very warm & pure. The white one is pure while the grey one is a mix and comes a bit cheaper. You can also get some local herbs from Raju at Darkot Village such as Jambo used to flavour Dal, Thoya much like Kala Jeera, Tehmur like Kali Mirch (in case you need warmth in cold, you can drink a soup having lot of Tehmur in it), Gandraini sticks though bitter in taste but good for constipation. Munsiyari also sells quite famous local Rajma (Kidney Beans) & potato and you can get some of them for you in case you like them. The road from Darkot – Madkot – Jaulijibi runs along Gori Ganga river. Also, offers views of Johar Ghati towards Milam which is surrounded by Tibet from one side and Nepal from the other if I am not wrong?? Chaukori offers a much wider view of the Himalayan range wile Munsiyari offers a touching view of Panchchulli range. 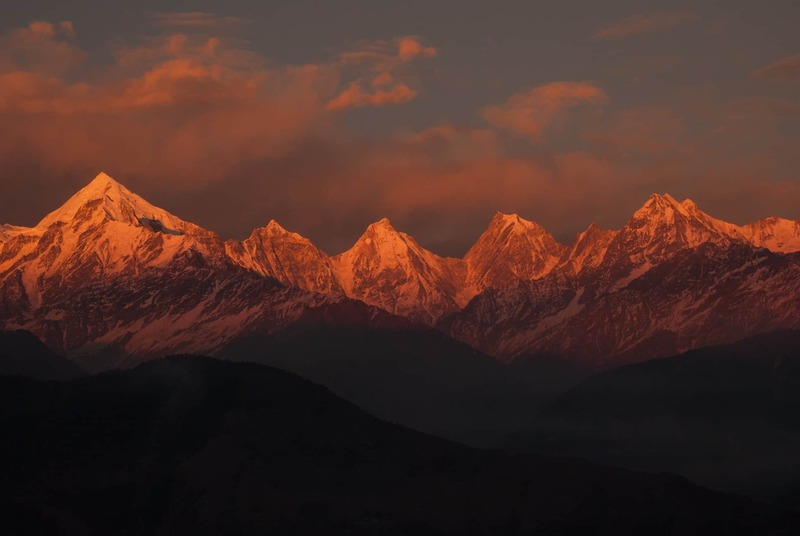 The view of Nanda Devi from Chaukori is purely magical and feels like as if you will touch it. Again, while coming back enjoy lunch at Thal and DO NOT forget to top up fuel at Thal. The restaurant just aside the petrol pump by the name JJ Hotel and Restaurant is quite nice. Stop aside Birthi fall in case you missed while going to Munsiyari. Make a visit to Patal Bhuvaneshwar, an amazing cave of lime stone and if you have interest in Hindu mythology, well you will relate those structures in there to every sense of the story narrated by the priest when you get inside. One of those MUST SEE things in life. 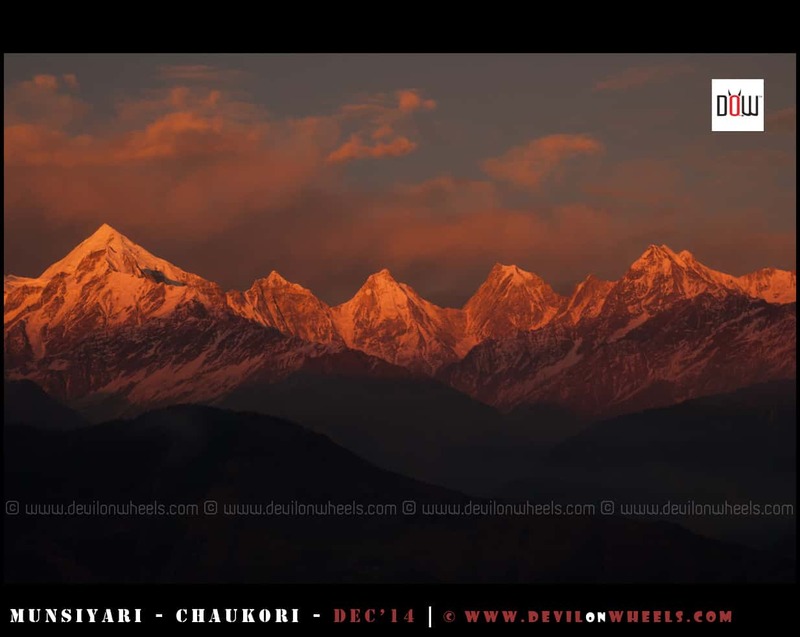 From Chaukori follow the other route towards Bagehswar – Baijnath to reach Kausani or Gwaldam. Kausani offers a panoramic view of Himalayan range with Bageshwar valley floating below while Gwaldam offers a more touching view of Trishul peak and offers much more snow. Just for info., Gwaldam lies inside Gharwal region and is just sitting on the border of Kumaon and Gharwal, so can be done under this circuit too. Relaxing day and enjoy the sunset/sunrise golden glow from Kausani or Gwaldam. Relaxing day and enjoy the sunset / sunrise golden glows from Kausani or Gwaldam. You can rest at Mukteshwar or Ramgarh or maybe make a day trip to Sattal / Bhimtal / Naukuchiyataal or in case you decided to go towards Ranikhet / Manila, start for home from there. You can even start for home from Mukteshwar covering these lakes if you start early in the day. Bhimtal, in any case, will fall on the route only. Stay at Mukteshwar/Ramgarh or reach the sweet home. Thanks for the recommendation from Pankaj in comments section, one can also stay at KMVN Birthi Falls instead of Munsiyari and enjoy peace up there. All three were working mostly through all the days except Dharchula. At Dharchula Airtel was having Nepal International Roaming. Vodafone was dead. BSNL was working as local connection. Only few sections of the roads were there where Airtel and Vodafone was not working. BSNL had the widest coverage among all. Data Connectivity was almost always available wherever the signals were present though it was mostly 2G and in some towns like Gwaldam (Gharwal border) even 3G was running :D.
I am sure the above itinerary for Kumaon region if not help you 100% with planning a trip to Uttarkhand but can certainly act as a starting point for your upcoming Kumaon trip or a trip to any of these places mentioned in the itinerary. Do share your valuable thoughts or queries or doubts you have and we can discuss more about your upcoming Travel Plans for Kumaon either in comments below or in the Itinerary Advice section of the DoW Community. We will be happy to help you plan your trip :). I wish to visit Munsiyari during last week of September or first week of October by car. Day 1 – Noida to KMVN Deenapani ( Target is to reach by 12 noon). So, I wish start from noida at 4 AM. Is that possible? Day 5. – start from choukori at 12 noon & return to noida by 11 PM. Can we complete the kumaon circuit on bikes ? Which is the best month to visit these areas? (Preferably cold weather and snow on the road sides ? Thank you for your website and all the info that you share on it. I have been to Ladakh and Spiti valley a few years ago and thanks to all the info you shared, my trip was wonderful. I am planning to follow the above itinerary from Delhi to Delhi from 20th Apr to 28th April. I dont have a car or a driver and plan to hire one of the drivers listed on the website. I am from Mumbai and plan to catch a flight back home from Delhi on 28th. 1. Is this a suitable time to travel on this circuit? I travel primarily for landscape photography. 2. I wont have ten days at hand but only eight so what would you suggest in terms of itinerary? 3. 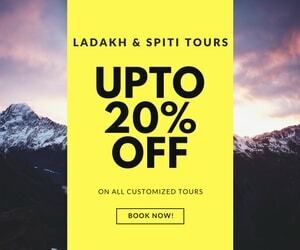 Do you have any list/contact numbers of guest houses or any cheap accommodation like you have for places in Himachal and Ladakh? 1. Well, weatherwise the trip to Uttarakhand will be fine but at times due to smoke cover, the views get obstructed in the period of MArch – April. Hence, I may fee a bit apprehended about it unless I reach closer to the date and see how the views are in March by calling few locals. Hallo Dheeraj. Can you suggest if I can take my 14 months son to munsiyari. Trisha, well, there is no high altitude, so it will be long journey that the kid will have to go through and you will need to carry all the required things to carry for the baby. Rest altitude wise there should not be any issue but do check with your Pediatric Doctor as well and also ask him for some motion sickness thing along with safety of altitude. I want to visit Jim Corbett along with the common itenary that you suggested. Kindly let me know where I can add Jim Corbett. Sujoy, you can add Jim Corbett either towards the end of the trip or start of the trip and follow the rest of the plan as it is. Somewhat relaxed tour for I want to soak in the experience and relax.Can you suggest any good taxi rentals or drivers for the entire tour.Looking forward to your advice. Abhijit, I will personally pefer to spend more time at Chaukori, Munsiyari and Binsar. After visiting these places, I will prefer to skip Kausani as it does not offer anything better than what you had already seen in much close up from Chaukori and Munsiyari. So, adding binsar and day trip from Chaukori to Patal Bhuvaneshwar will be much worth than spending time in Kausani. Thanks Dheeraj for your prompt reply.It was a great help to plan my trip.You are doing a great service. Thank you, wonderful to know that and glad this website helped you in planning your trip to Kumaon. 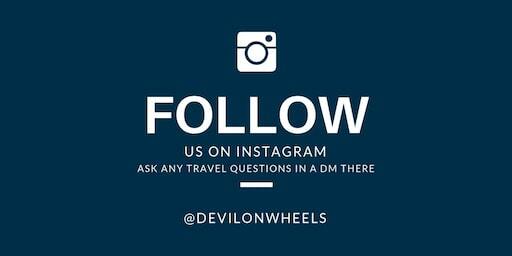 I am planning my visit for 4 days from delhi in my private vehicle and i am not sure where to head of all the places u have mentioned above. Wasim, with just 4 days in hand you can do easy trip to Kausani and Binsar and come back to Delhi. Do you think it will be hectic? You might wonder why 2 days in Peora. Its because I really want to stay in the Dak Bungalow and they allow for min 2 nights. How is chaukori ? Should we add one day in Musiyari and do Chaukori on the way? Your plan seems to be good. I will suggest removing Kausani and adding either a day to Munsiyari resting or day at Chaukori to visit Patal Bhuvaneshwar. After visiting Munsiyari and Chaukori, there isn’t much to see at Kausani as you would have seen the same range from a close distance. So, the day you are planning Kausani, do Patal Bhuvaneshwar and move to Peora the same day. Manjri, if you can carry all important the stuff for the two-year-old kid that he like to have at home, it should be OK for Kumaon because there is no high altitude place in Kumaon and roads are pretty much accessible. All you need is a well prepared kit for your kid and the food he eats properly packed. Give him bottled water or boiled water only and talk to your pediatric to take the required medicines. Just came across your blog. It’s so informative and I love it. I’m planning a trip with my husband and three and a half year old daughter in July and we were looking at a similar itinerary as someone above mentioned Corbett, Raniket, Binsar, Nainithal, Bhimtal. Since we are going with a child, I wanted to know if this is manageable with a good break at each place.? Are there any other spots we can add in here along the way? We are looking to do two weeks. Also weather wise is it a decent enough time? We are just looking to soak up some good scenery, relax, and chill as a family. I really appreciate you taking the time to patiently answer each question written to you. Thank you so much in advance. Nainital (2 nights), Chaukori (2-3 nights), Binsar (1 night), Bhimtal/Naukuchiyatal (1 night, nothing much there) or Corbett (2 nights). Choose one among Corbett or Bhimtal. Already booked kmvn guest houses in nainital and birthi. Wanted to know any suggestion from Birthi onwards. Thanks in Advance. No Achal, this will be a very enjoyable trip I will say. You will enjoy it best, may be you can spend one night in Munsiyari instead both in Birthi but that’s fine too. I am planning a Trip in Late Novemeber, to visit Nainital, Mussorie/Kumaon/Mukteshawar/jim Corbett, or any other place you could suggest, Really not sure which places to cover in 5-6 days. Could you please suggest and iternary, once we reach Kathgodam. And what could be the best mode of trasnport laong with distances please. Looking for a Relaxed Holiday and mesmerising nature’s view. We also run a small homestay veselka in satkhol a small sleepy village at the lap of Himalayas near mukteshwar. I did this circuit two years back. May I suggest one addition to the above itinerary. Staying at KMVN rest house, Birthi could be a better option than Munsiyari. Two nights stay is highly recommended. You can have a day trip to Munsiyari and come back to Birthi. Since I have traveled extensively, I can vouch for my claim. Thank you. Thank you Pankaj, I am sure this will be much helpful to many other folks. I will update the plan accordingly. 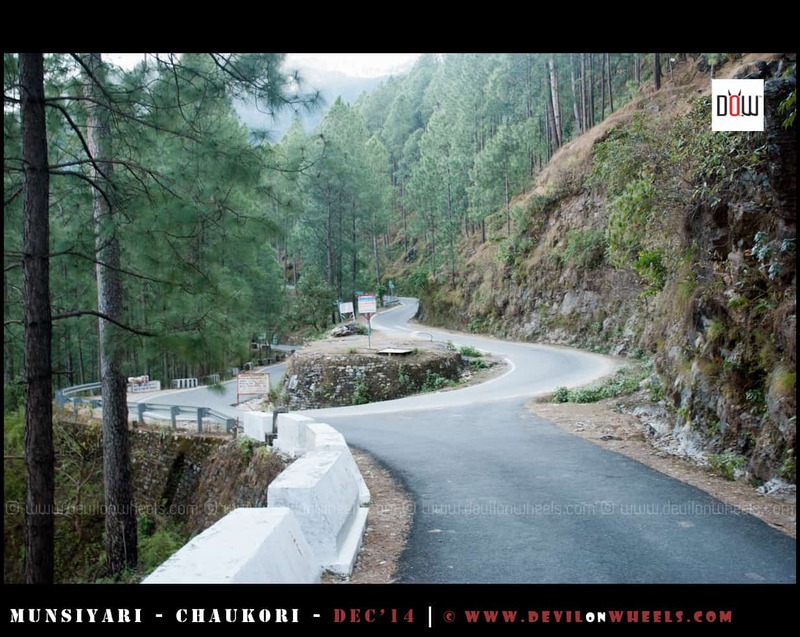 Day 3: Nainital – Kausani (enroute Ranikhet), stay at Kausani KMVN. 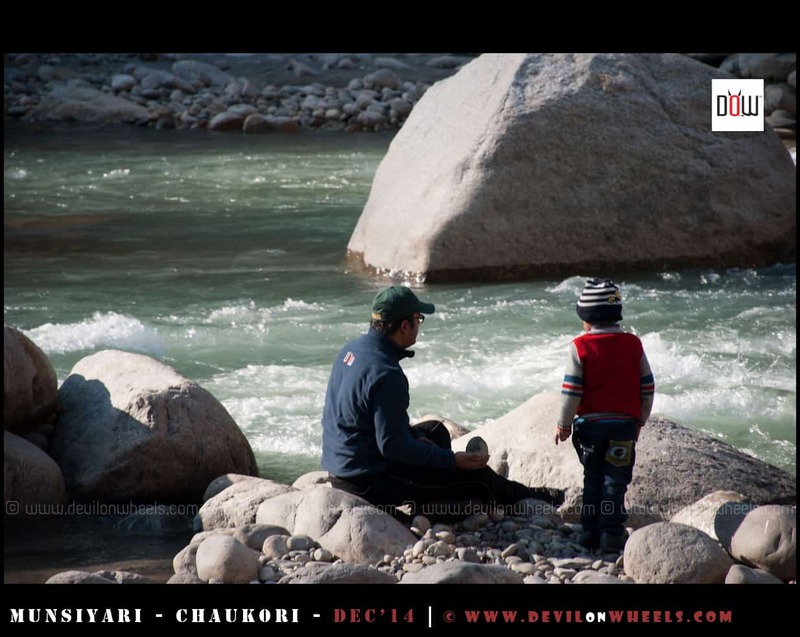 Day 4: Kausani- Chaukori, stay at KMVN Chaukori. Day 8: Almora- Kathgodam (enroute visit to Bhimtal, Naukuchiyatal etc) & drop at KGM stn by 7:30. I have prepared the itinerary based on different sites (no knowledge about Kumaon). Whether the itinerary is okay? Specially I want to see scenic beauty and visit picturesque places and don’t want to have a hectic journey. (I can stretch the no of days). Please comment on the itinerary& do provide suggestions for any changes or modifications. Thanks. Yes, the plan looks OK to me. You can stay at Mukteshwar instead of going back to Nainital as it will cut the repeat route next day to Kausani. Better add one day at Munsiyari to get rest and one day at Chaukori to visit Patal Bhuvaneshwar. BTW, if you can extend the days, then why not make the trip with above itinerary mentioned in the article and enjoy it to the fullest. Also, add one more day of rest at Munsiayri to make it more enjoyable. Thanks for the reply. I have already booked stay/hotels at some places. Day 1: Reaching Kathgodam at 6:00 AM, 30th May,2017. 03-06-17 & 04-06-17- Booked at Munsiyari. Can you please brief the itinerary for max enjoyment & less hectic? Will book car from Kathgodam/Nainital. Also, which are the must visit sight seeing during the journey. Also for the sake of better itinerary, I can cancel & re-book hotels. My return train from NDLS to Kolkata is on 08th June, 07.30 PM. Thanks. Well, since you have also booked places, it will be better to fit in these dates based on the suggested plans above. The flow is what is outlined already, you can fill in between the dates and ahead of it. You can start back from Munsiyari or extend a day at Munsiyari and come back to stay at Binsar. Then from Binsar travel to Mukteshwar and then back. Day 2: Day trip to Sattal, Bhimtal & Nakuchiyatal, back & enjoy evening at Lake side Nainital & stay o/n at Nainital (KMVN). 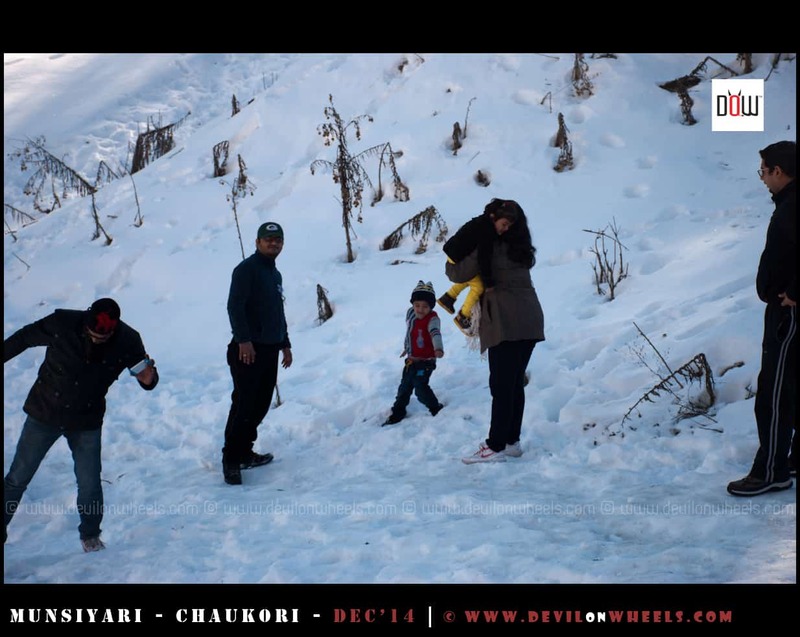 Day 4: Kausani- Chaukori (enroute Baijnath, Bageswar), stay at KMVN Chaukori. Day 7: Munsiyari- Binsar and stay at KMVN Binsar “or” To Patal BBSR and to Dhaulchina and stay at Binsar Eco Camp. Day 10: Mukteswar to Kathgodam (via Kaladhungi Road, Jim Corbet Museum etc) & drop at KGM stn by 7:30. Stay at Kathgodam KMVN. Day 11: Train from KGM Stn at 8.00 AM. Is it okay? Thanks & Regards. This is pretty relaxed and very enjoyable plan. One day more in Munsiyari instead of Mukteshwar would have been great !! I and the family ( 2 parents senior citizens, 2 infants and 2 adults) are planning a 10-11 day trip post diwali 2017 . Mid October. We plan to land in Delhi in morning and hire a zoomcar and drive down. Can you suggest an itinerary.. want to cover Nainital and Corbett for the kids..Remaining places I am completely open. Preferably with stays of minimum 2 nights at each location as packing unpacking with infants is time consuming. Thanks Dheeraj for your guidance. Between Munsiyari & Kausani, would you still recommend Kausani ? remaining all looks fine. Secondly can you also help me with tentative driving distances between the above places? Munsiyari is further ahead while Kausani you will start the journey back. I have kept it to ease out your trip and you do not travel much every day. Thank you Dheeraj. My plan is changed slightly. The trip is for 11 nights Delhi to Delhi. Plan to stay for atleast 3 nights in Nainital. Want to skip Corbett ascore area would open in Nov. Other places 2 nights each…What route and places would you recommend ? Your website is truly impressive and extremely informative. There is wealth of information available on practically all issues that might be faced by travellers. I congratulate you for doing this yeoman service for the touring public. I am intending to visit with my family Ranikhet, Almora, Kausani, Mukteshwar, Binsar and perhaps Bageshwar in the first week of September from Delhi. The trip would be of a week’s duration. I need your advice on the best route to follow to avoid backtracking and have the maximum opportunity to see and enjoy. Also please comment on staying options at these places. Thank you for the reply but we do not want to go to Munsiyari, chaukhori etc. We are restricting our visit to the places I mentioned in my first post. Kindly suggest a tour plan for that. Could you please suggest safe places to stay in Binsar-Chaukori-Munsiyari-Patal Bhuvaneshwar along with wife? Are KMVN rest houses also good to go ? Also, please advise way from Chaukori to Munsiyari which route would be better as Google only reads way via Jaulijibi-Madkote road. I was planning to take Almora-Bageshwar-Munsiyari road? hi, what would be the tentative cost for the above route per person? I am frequent visitor of your blog and I really appreciate your detailed information on every place. I am planning to take this trip in may end. Any suggestion for taxis? do you have any references? Very nicely written article. Found it very useful. I am from Bangalore and I along with my family (wife and 5 year old daughter) have planned a trip to Corbett, Raniket, Binsar, Nainithal in the 2nd week of March. I would like to know if self drive is good from Delhi or should we go for a car rental? I have good experience of driving, but not extensively driven in Himalaya’s. Interested to know how the road conditions are on this route and how is traffic? Thank you Prashanth. Yes, self drive should be good to go. You can hire some self drive rental from Delhi and you shall all be set. Drive with little caution as they are hilly roads but then road conditions mostly are good in these areas of Himalayas so nothing much to worry about. I have gone through your website and found it very useful. Myself & my husband we are Himalayan tourist as well s trekkers. We wish to plan for our next Himalayan tour with some family members n friends who will be visiting Himalaya for the 1st time. More importantly we want to take our son – Nisarga who will turn 1 year in the month of March. We wish to celebrate his B’day in the Himalaya – thats d idea behind this tour. So our concern is which place to visit in Himalaya so that none of the members get affected due to cold (March will be pretty cool) or high altitude issue. But not the regular places like Shimla-Manali or Nainital. Look forward for your valuable suggestions/guidance on the same. You will not go wrong with any of them.